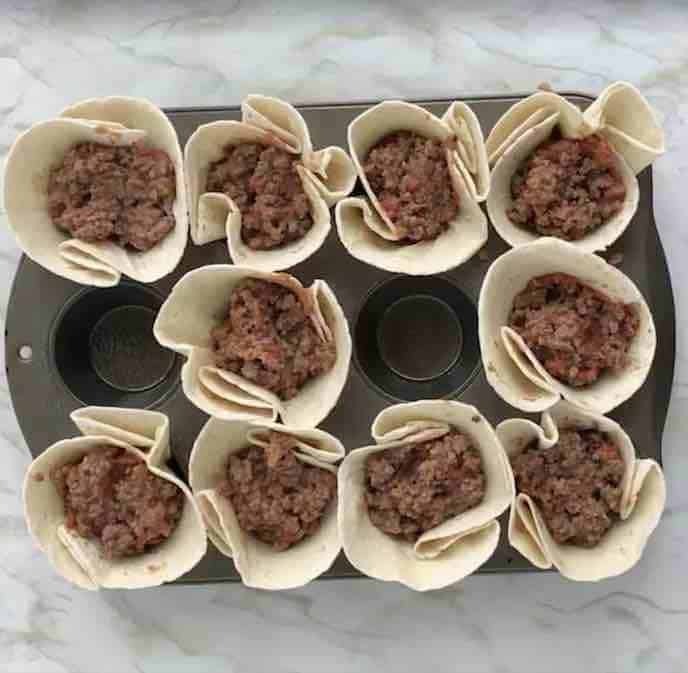 Baked Taco Cups are a quick, healthy meal for kids. Taco cups are made with tortillas, filled with seasoned meat, then baked to perfection! Last year Americans ate over 4.5 billion tacos! If we converted the weight of those 4.5 billion tacos, it would equal the weight of two Empire State Buildings. That’s a lot of tacos! With families eating so many tacos, sometimes it’s nice to change it up. 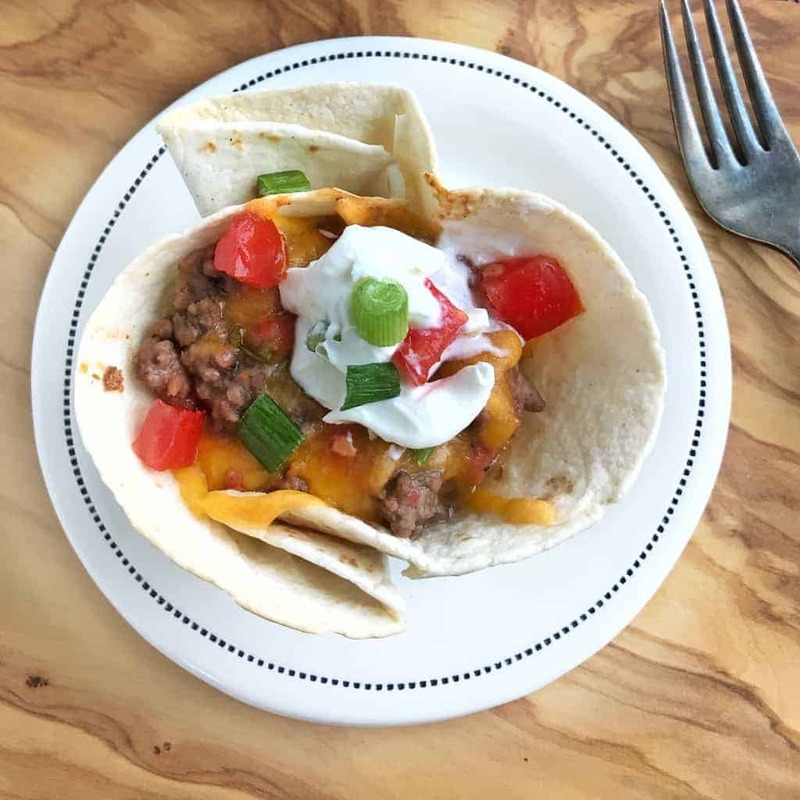 Dietitian Tip: These crunchy taco cups cut fat and calories compared to store bought tortilla bowls and add more nutrition with the addition beans and veggies. Kitchen Tip: If you want to cut time, you can skip the spices and use a packet of taco seasoning. Add in a canned of diced tomatoes and refried beans, stir well. 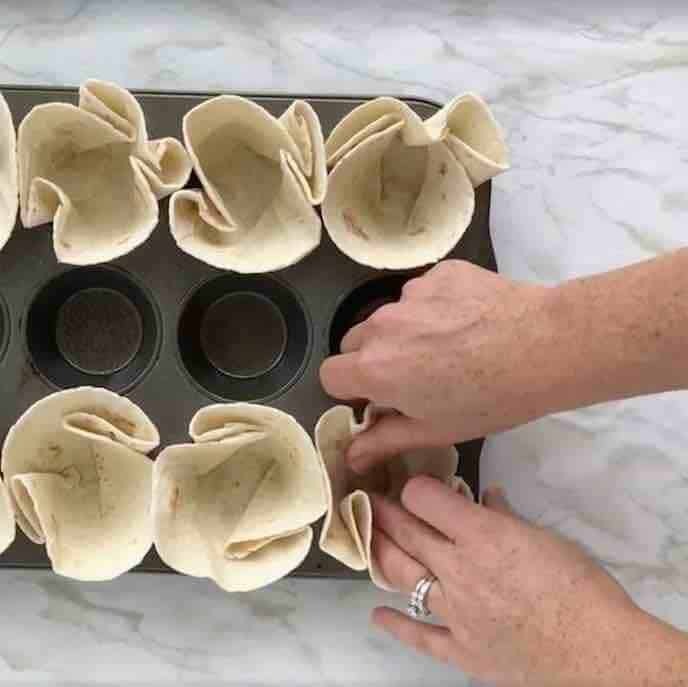 Fold tortillas into muffin tin, bending to fit. 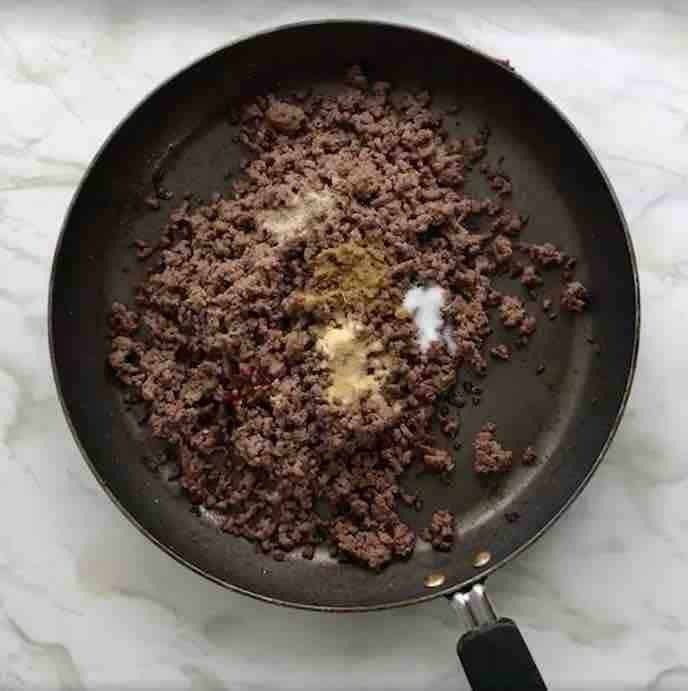 Evenly distribute taco meat into the tortillas. Top with shredded cheese, and bake 8-10 minutes. 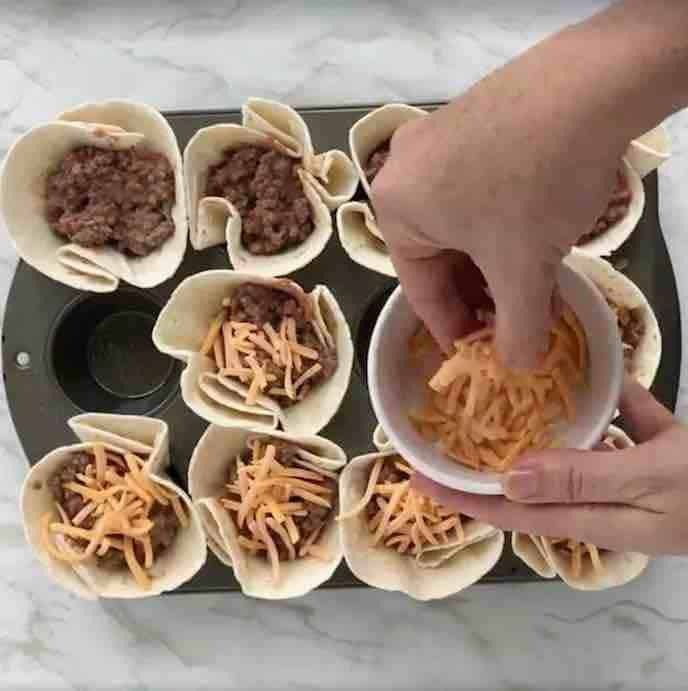 Watch to see how SIMPLE these taco cups are to make! 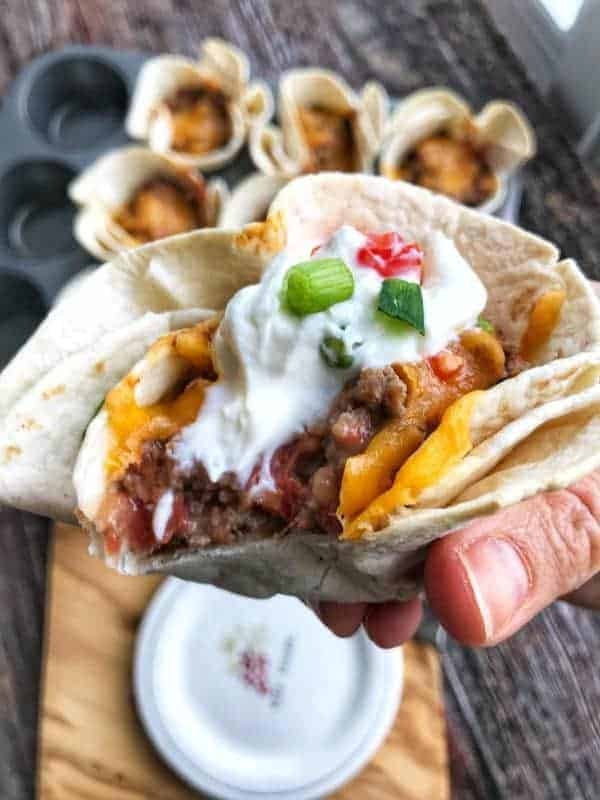 A crispy kid friendly taco cup recipe that will soon be your favorite. Note: Use 1 packet of taco seasoning to replace spices if desired. FILL ME UP WITH THAT FILLING!!! YUM! We are big fans of taco tuesday or taco ANYday here. We just did some spaghetti squash taco boats recently! I can’t wait to try your taco cups. Stunning picture!! I lvoe tacos, especially homemade (with a side of Guac ;). I like serving mine with refind beans, extra cilantro and super spicy! Does it have to be refried beans? 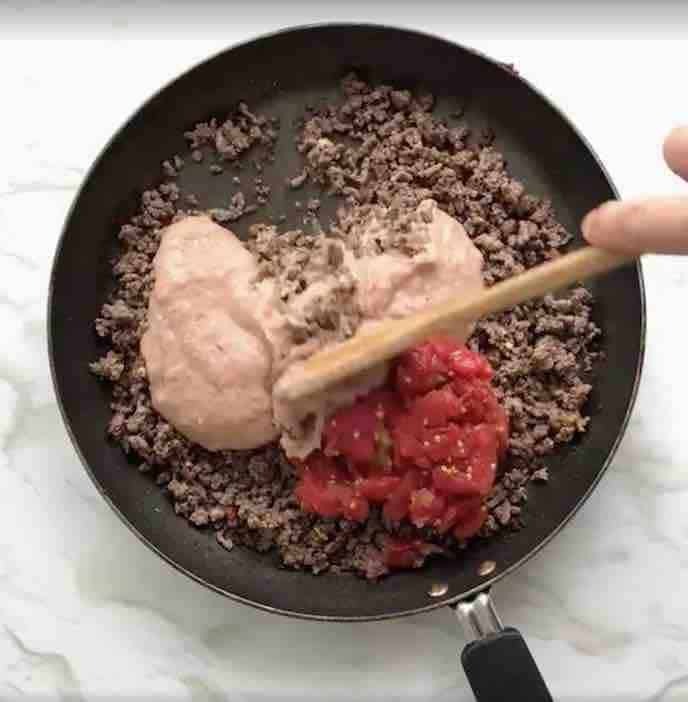 Yes, it does have refried beans, but you could always skip them. Or you could mash another favorite bean as a replacement like pinto beans or great northern beans. Hope that helps! Ha! They are soooo good, aren’t they?! What a fun idea to bake all the goodness into the tortilla! I vote for Taco Tuesday, too! These tortillas look FABULOUS!! These look amazing! Perfect for Taco Tuesdays…I’ve never made taco cups before. They are really easy Aliah! What a delicious spin on taco night.